In the pop music universe, songwriters used to be the brightest stars. They were the voices that cut through all the noise and made you feel something in your heart, or the pit of your stomach. 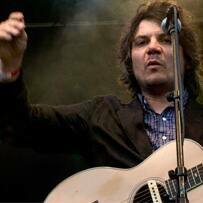 Now, obviously, pop music has changed, but some of those voices still exist, and Jeff Tweedy is definitely one worth listening to. With his band, Wilco, Jeff has been making honest, meaningful music for the past 16 years. Over eight albums, Wilco has explored the boundaries of rock, pop, country and alternative, while forging a sound all their own. For Jeff, it hasn't always been a comfortable journey. In his personal life, he's battled depression and addiction, along with a lifetime of chronic migraines. 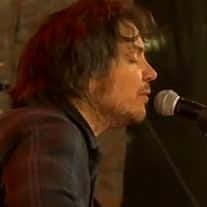 Plus, he's seen the down side of the music business: Back in 2002, Wilco were dropped from their record label, which refused to release the album, 'Yankee Hotel Foxtrot.' That turned out to be a huge mistake. After finding a new label, the album went Gold and became a landmark in the band's career. These days, Jeff is in a healthier place. He's clean and sober, a proud father, and along with his bandmates, he's started a record label of his own. Best of all, Jeff has started working on a new Wilco album, which is due later this year.